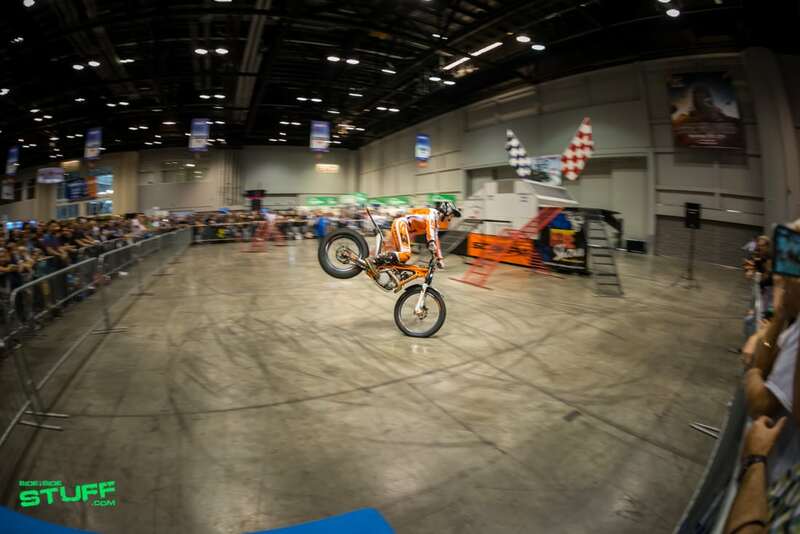 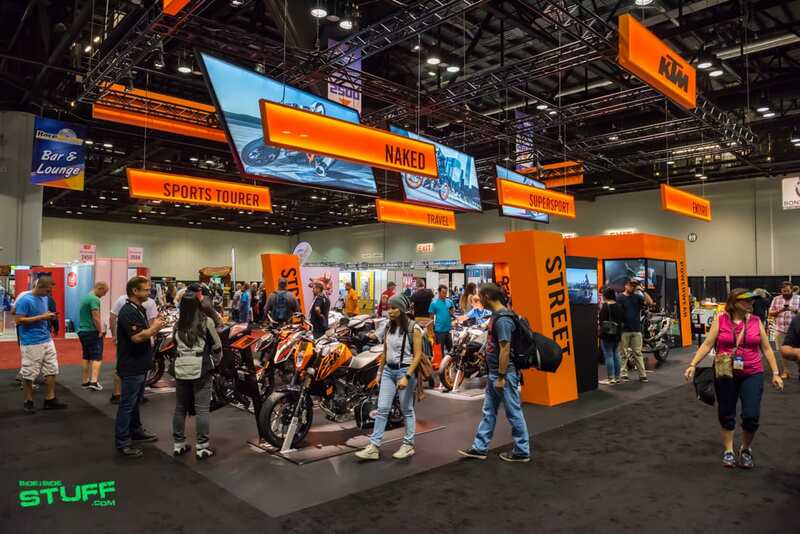 If you are a person who likes to stay up to date with the powersports industry then you probably have heard of or been to the event known as AIMExpo. 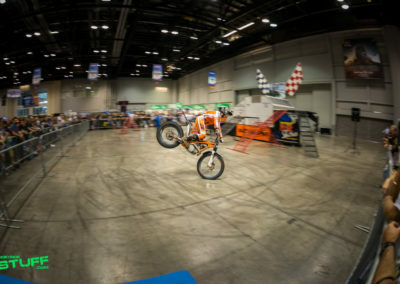 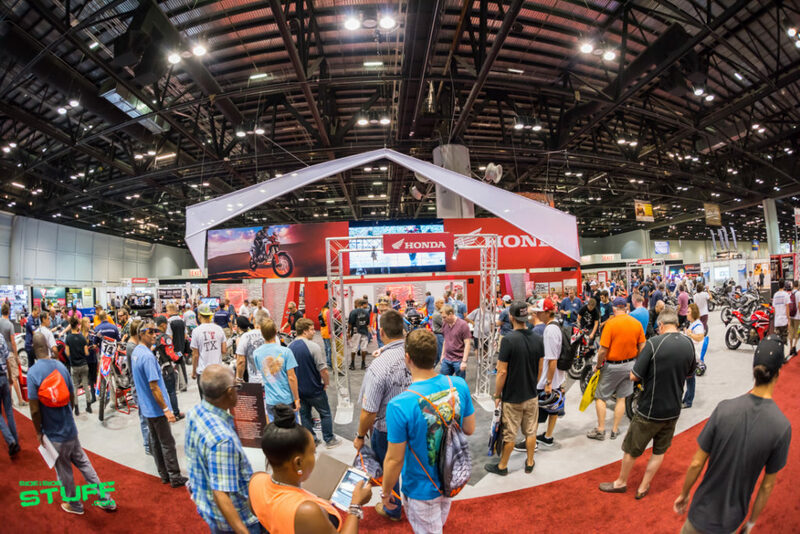 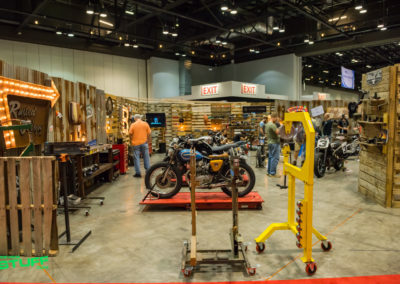 AIMExpo, short for The American International Motorcycle Expo, brings together industry, press, dealers and consumers for a four day business to business and business to consumer expo of epic proportion. 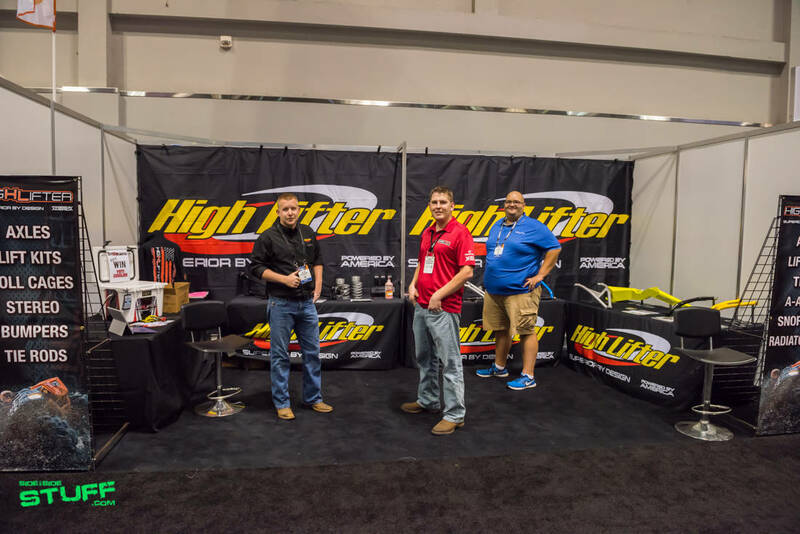 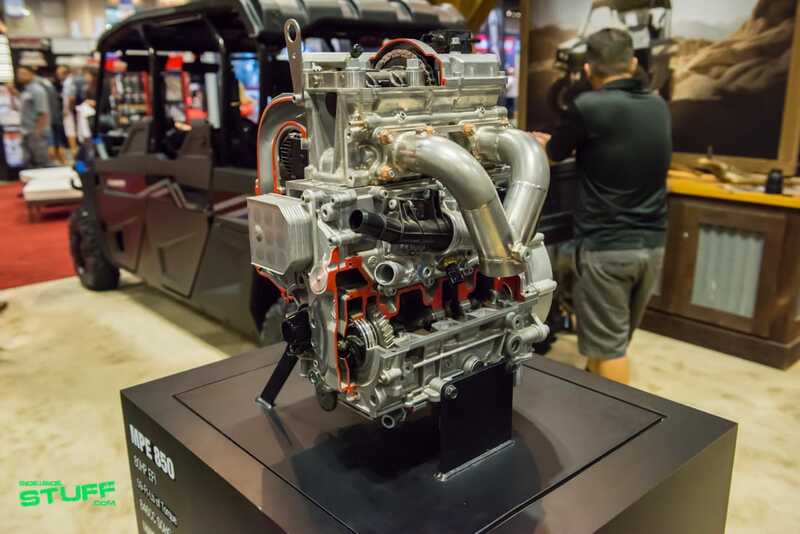 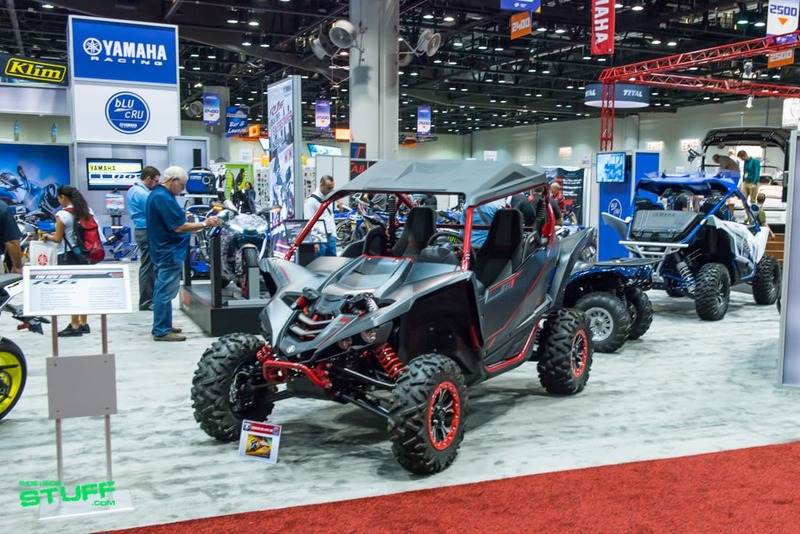 With 451 exhibitors on hand, if you are looking for the latest OEM oﬀerings, aftermarket products or accessories for powersports, then the 2016 AIMExpo was the place to be. 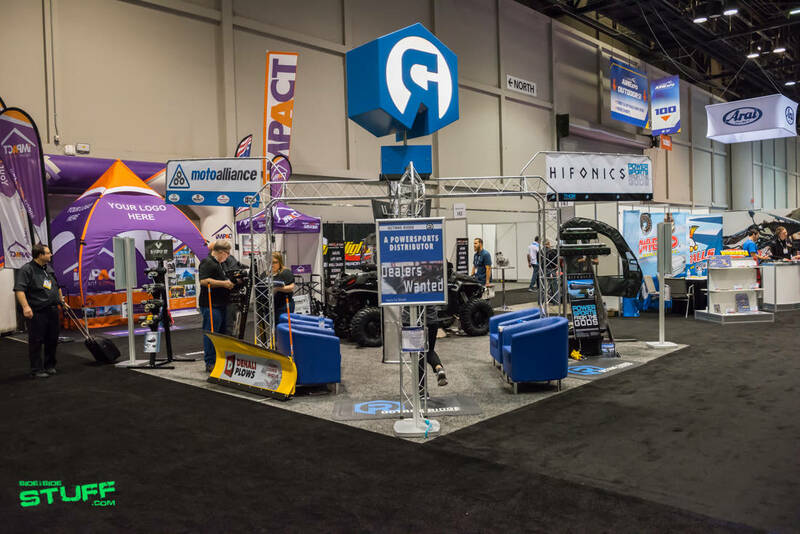 Doors opened October 13th, 2016 with the ﬁrst two days open only to industry professionals. 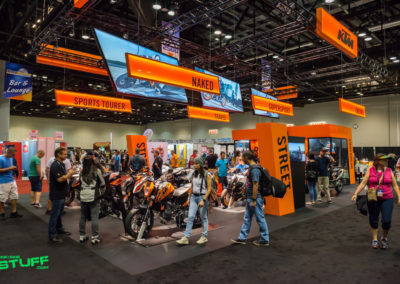 This allows them to network and connect with others in the powersports industry as well as attend many of the available dealer seminars. 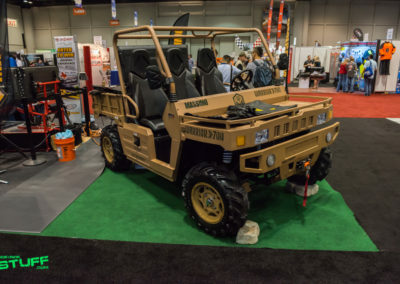 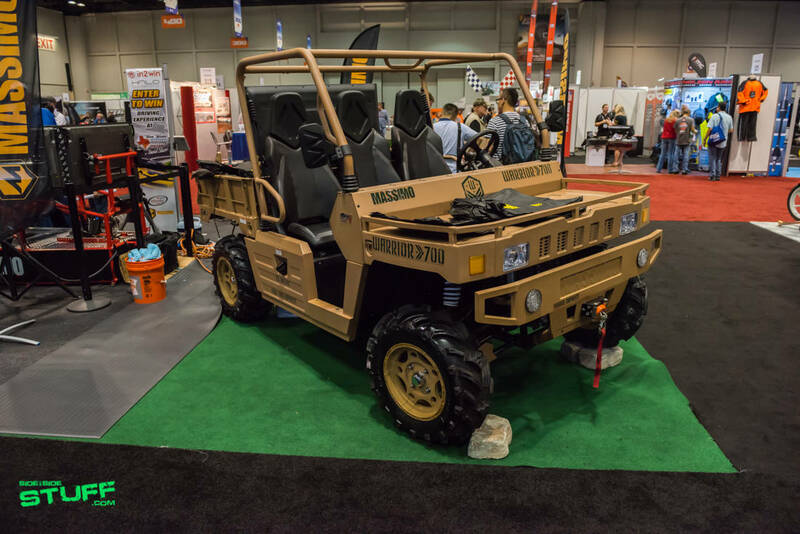 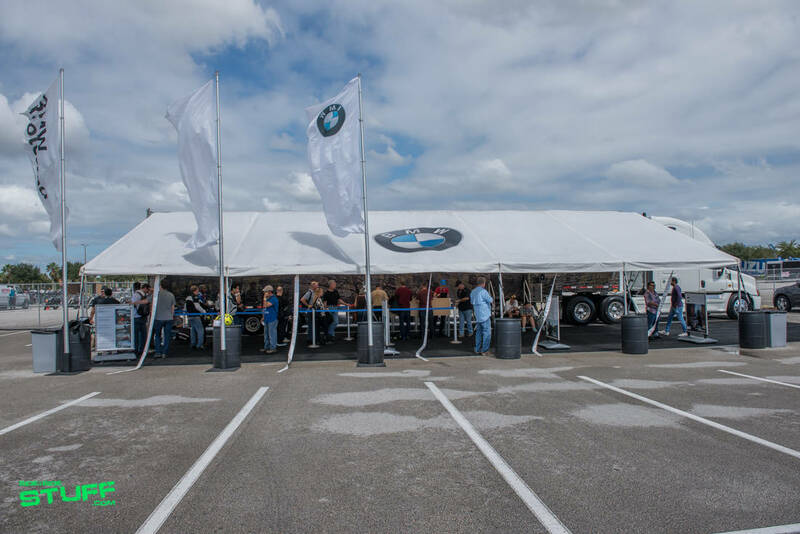 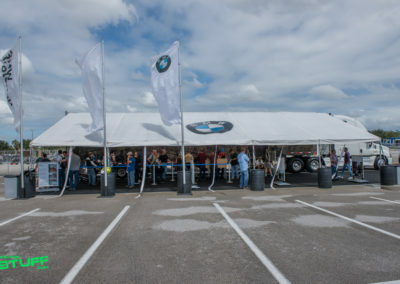 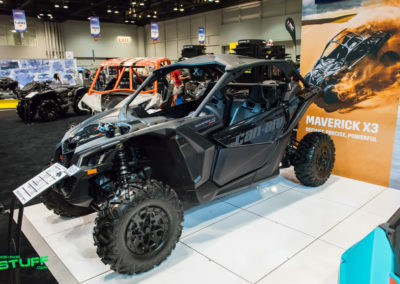 Days three and four were open to the public providing consumers the chance to see what’s new with the products and accessories manufacturers had to oﬀer as well as take demo rides on the latest OEM machines. 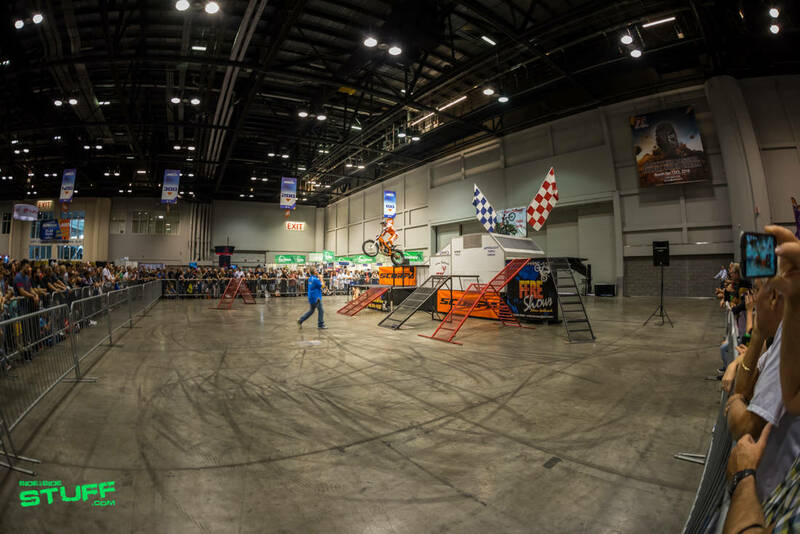 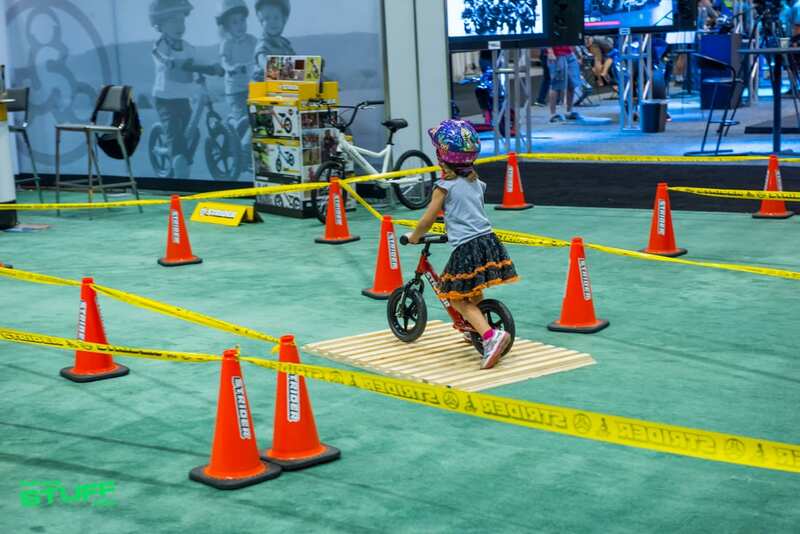 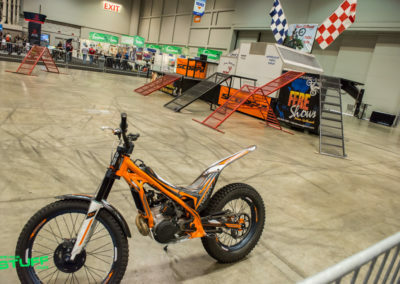 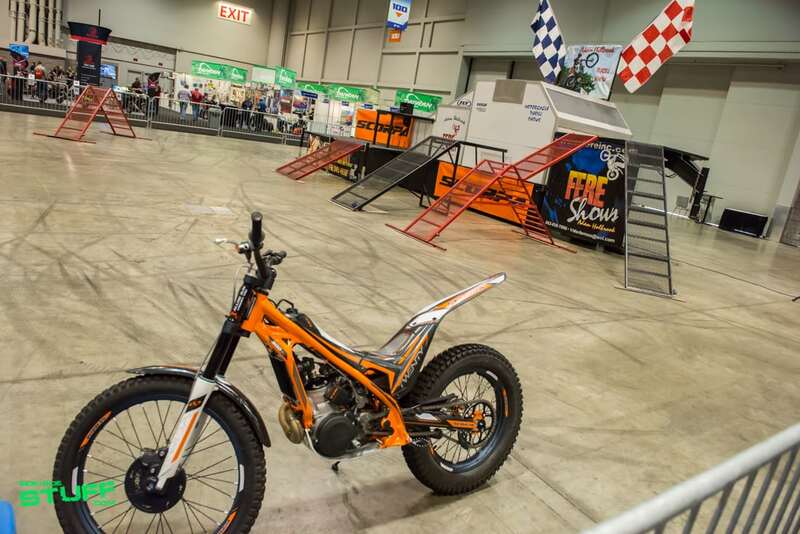 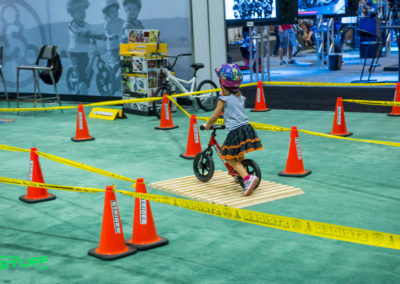 AIMExpo 2016 was a powersports playground for the whole family. 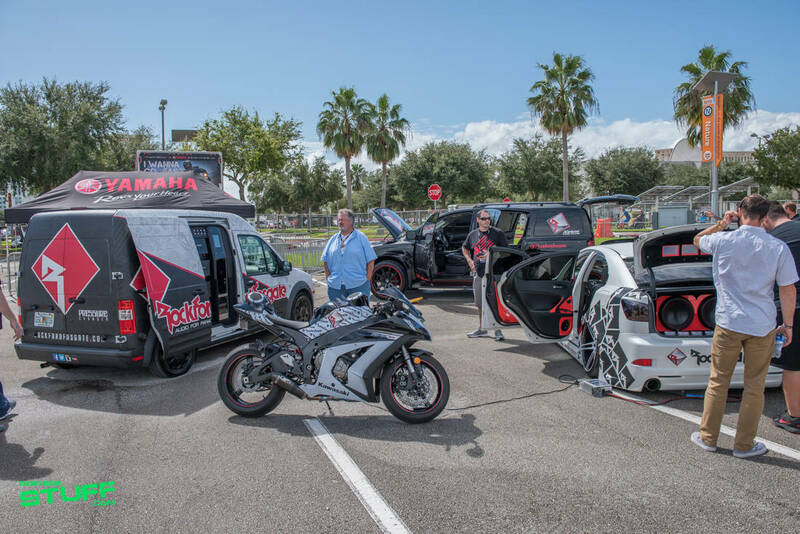 OEM’s like Honda, Can-Am, Yamaha, Kymco, Hisun, Bad Boy Off Road and Massimo Motor were on hand showing oﬀ their 2017 side by side lineup. 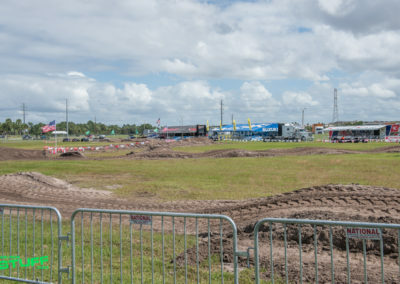 Many of the OEM’s even had machines lined up at the AIMExpo Outdoors oﬀ-road demo area for show attendees to test ride the side by side of their choosing. 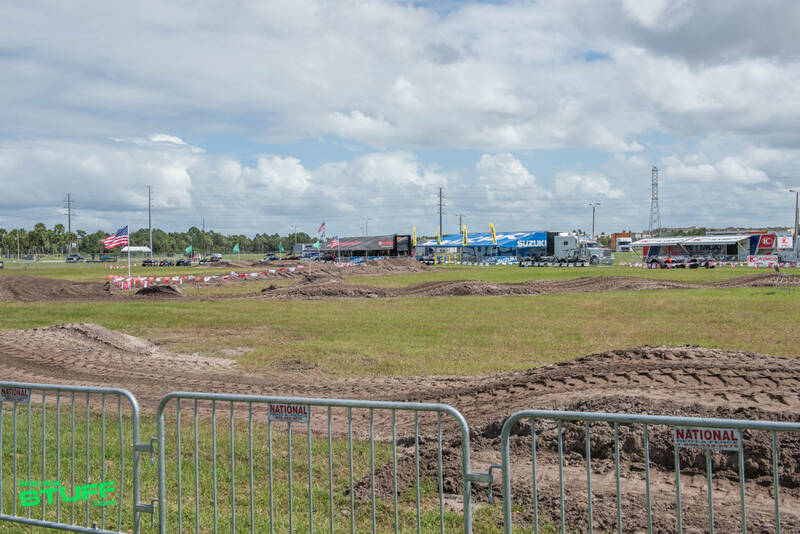 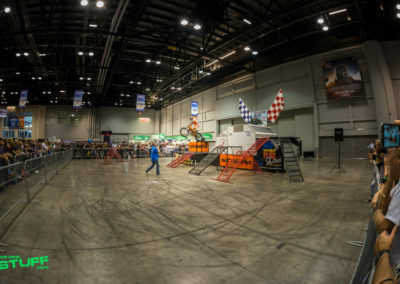 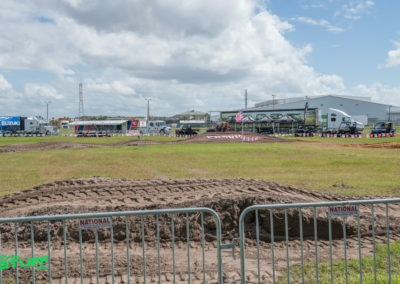 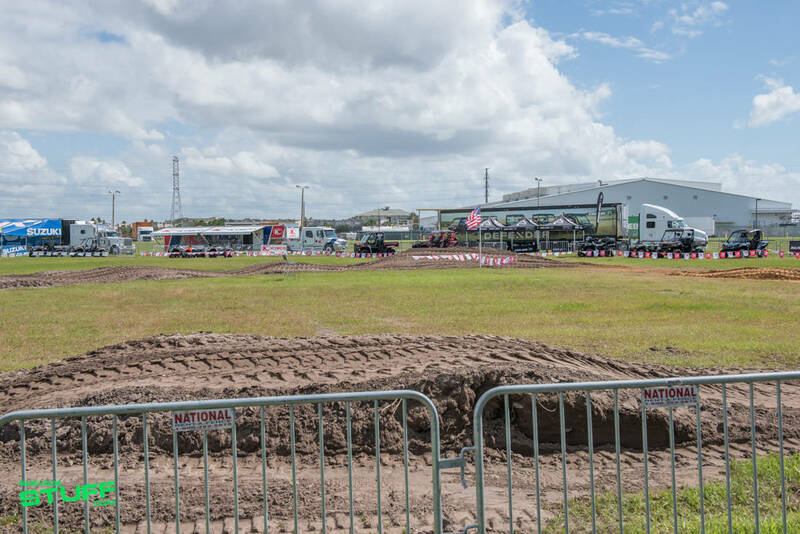 The oﬀ-road demo area included a dirt track built speciﬁcally to allow for real world oﬀ road testing and included dirt berms and small jumps. 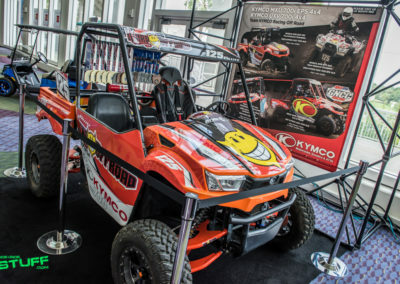 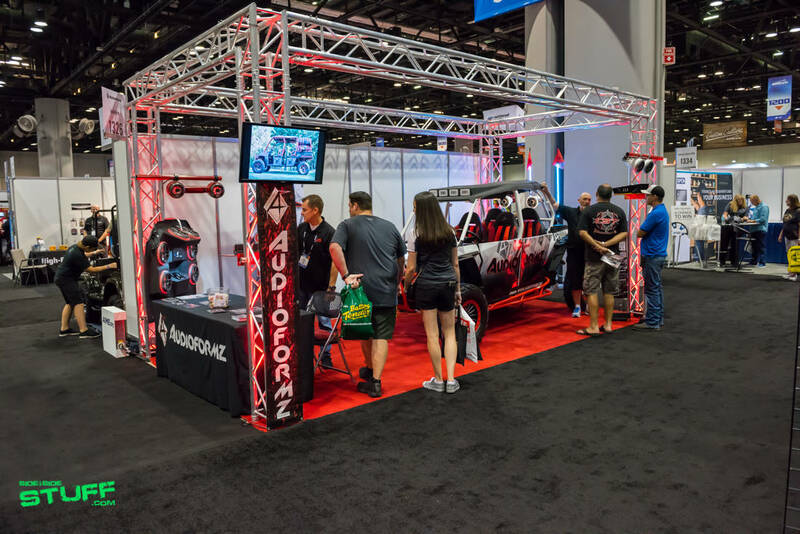 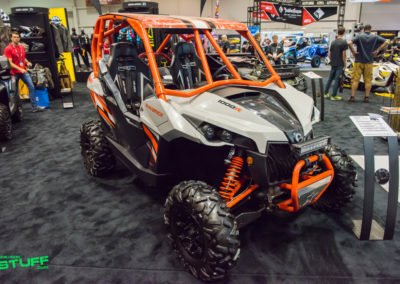 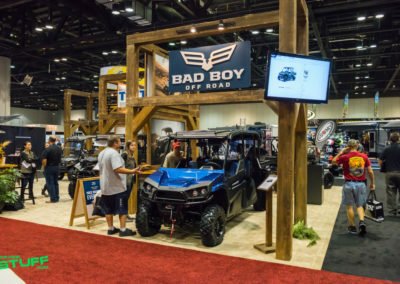 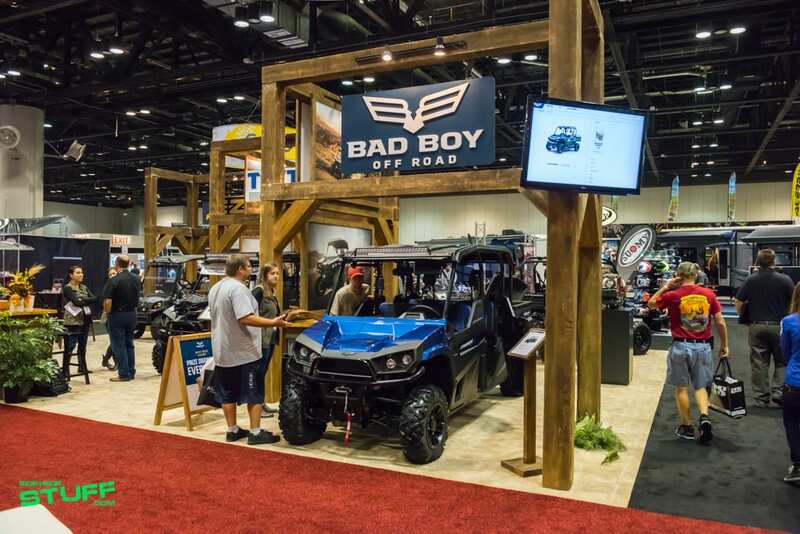 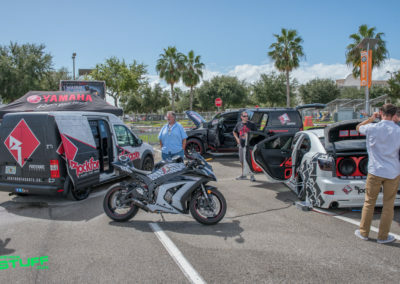 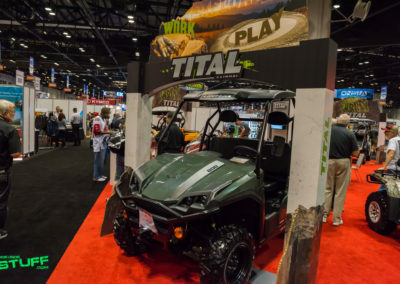 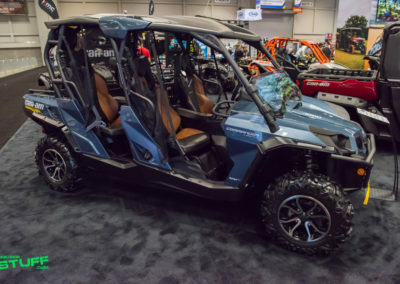 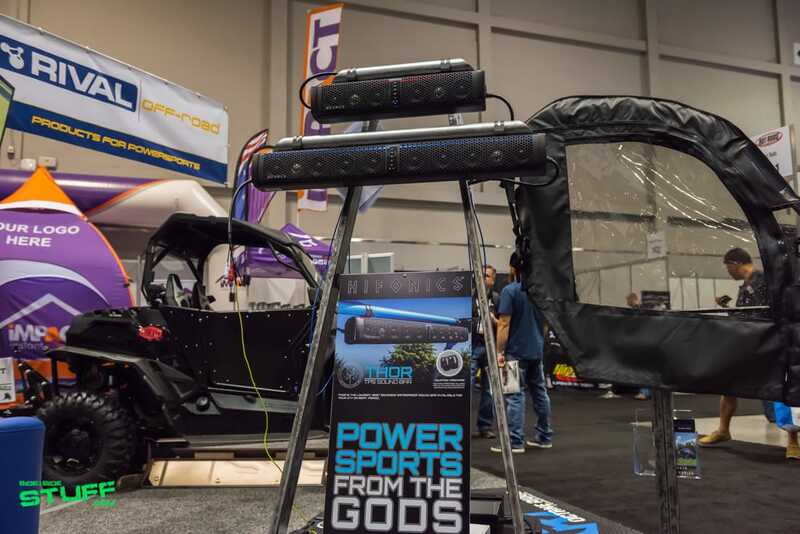 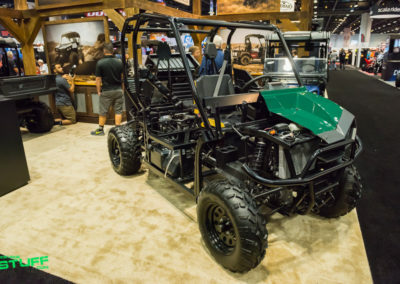 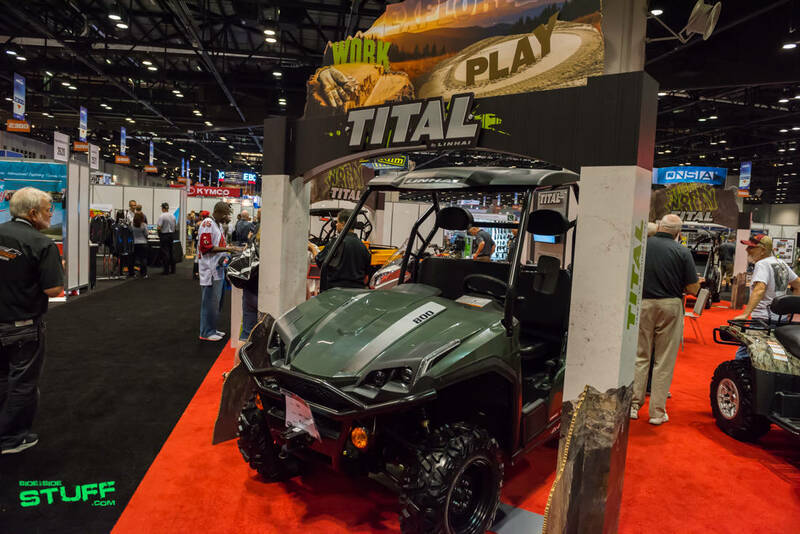 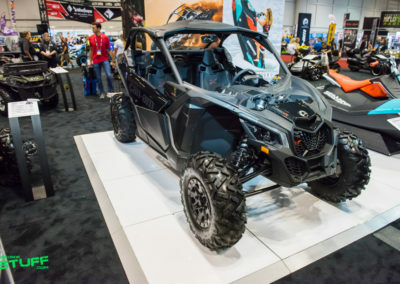 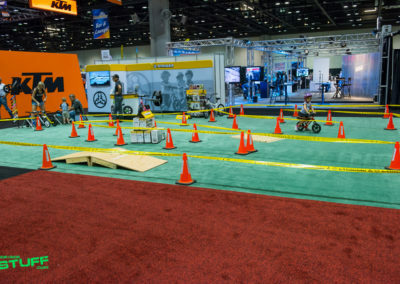 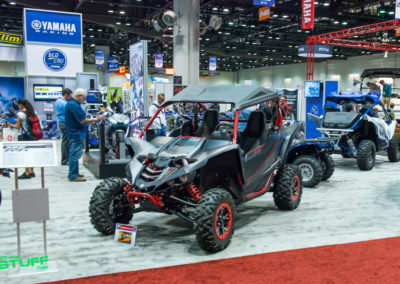 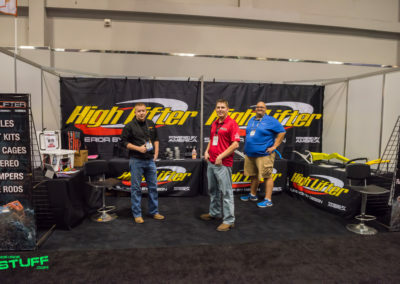 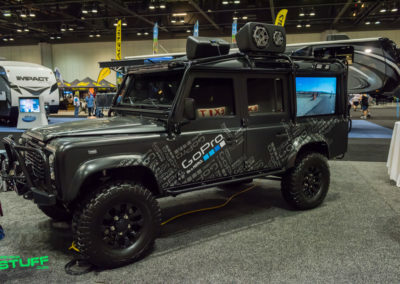 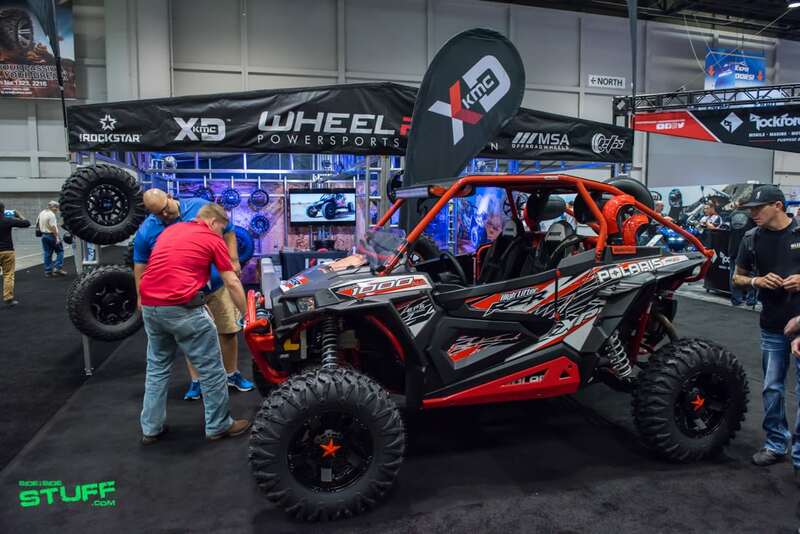 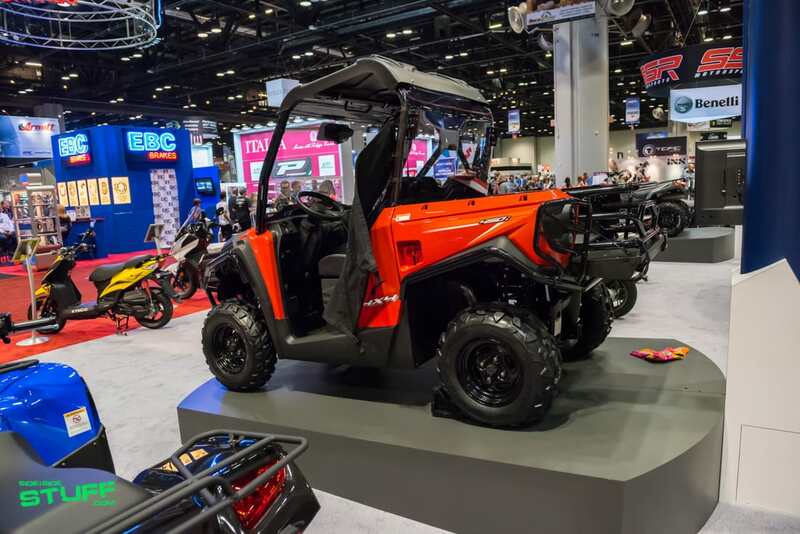 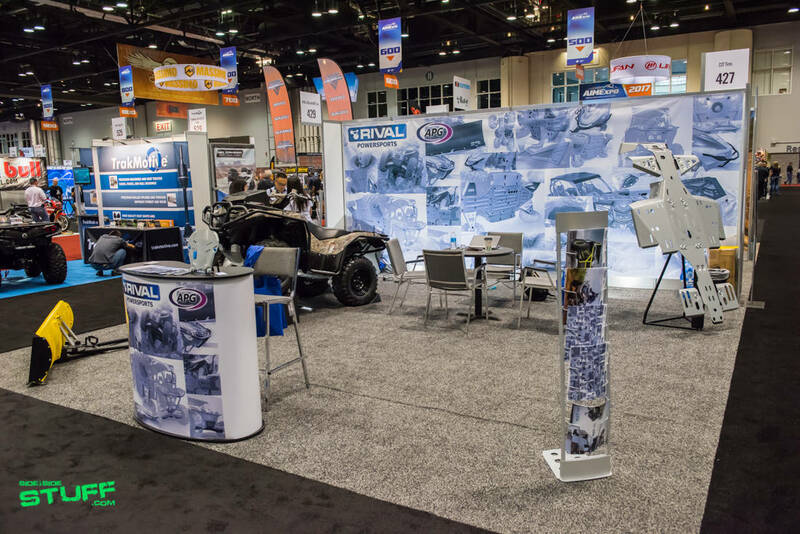 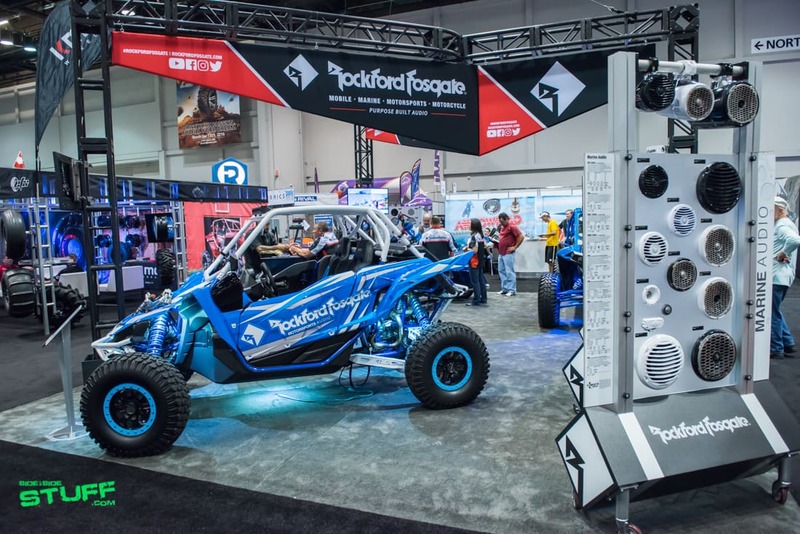 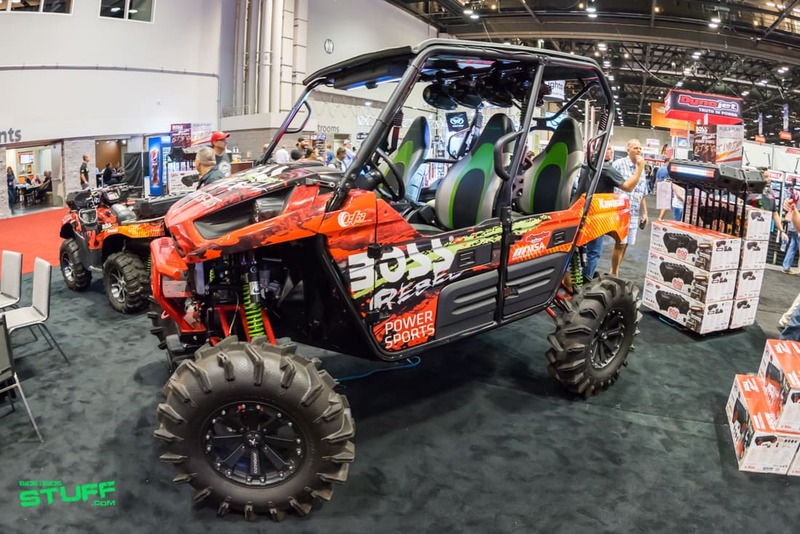 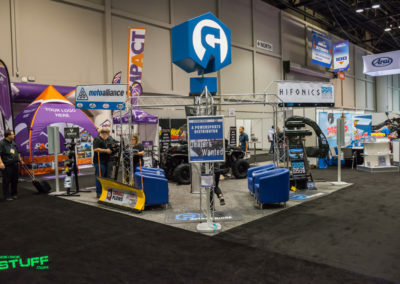 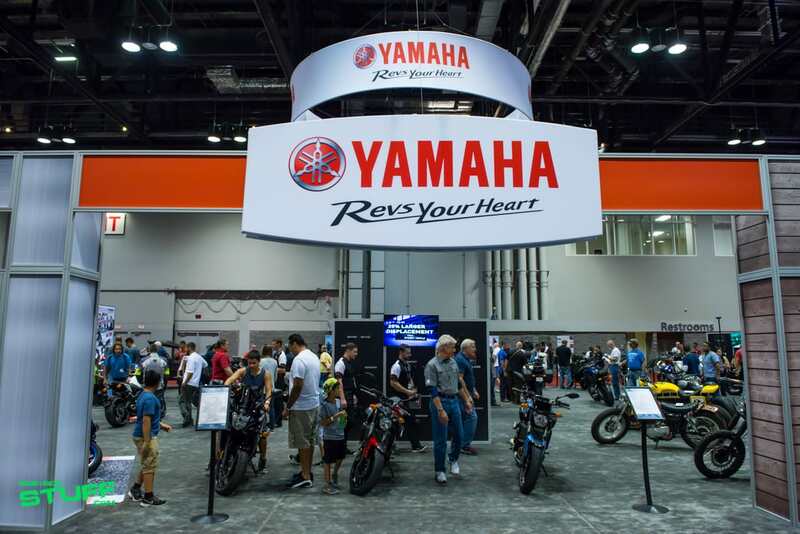 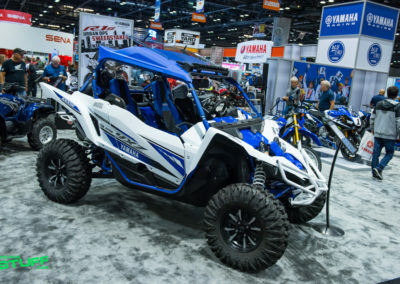 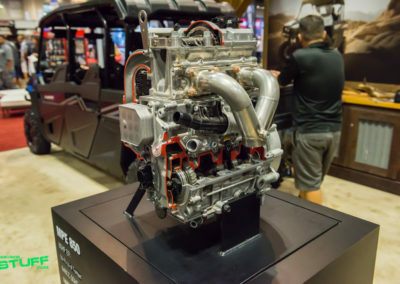 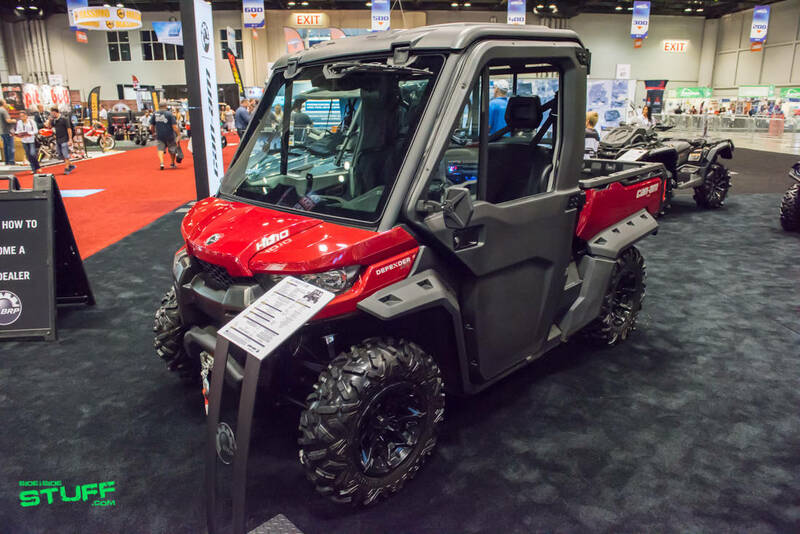 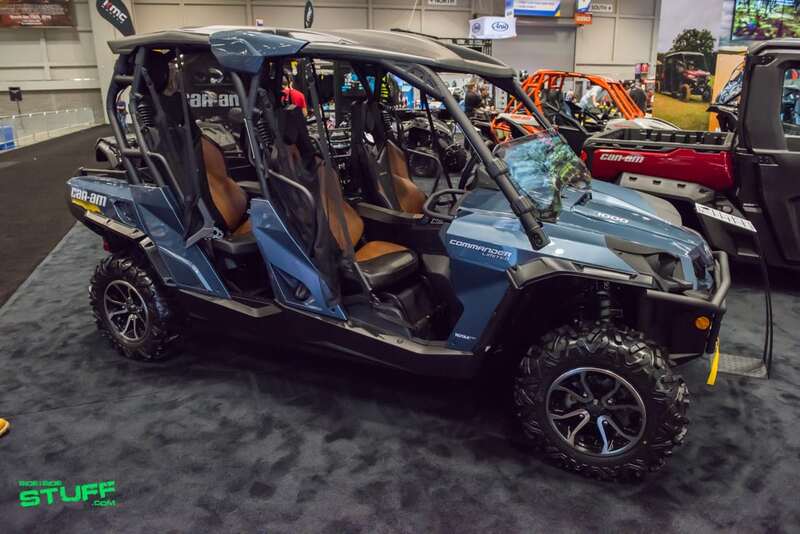 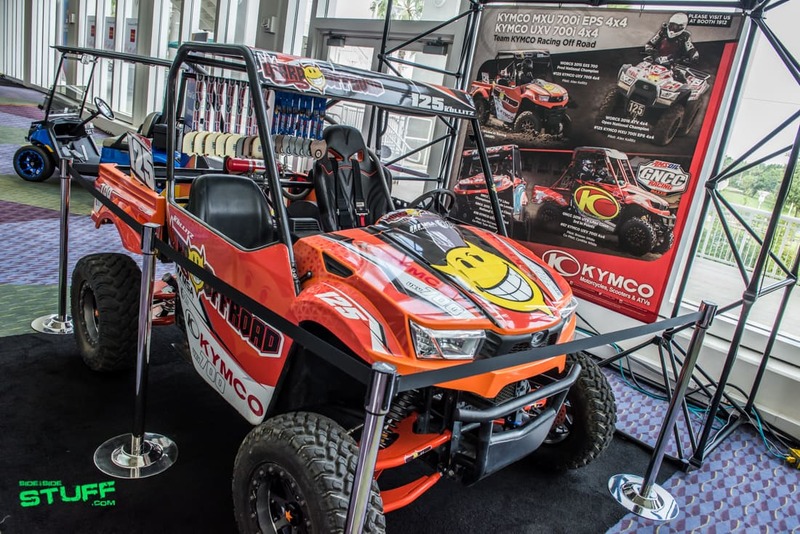 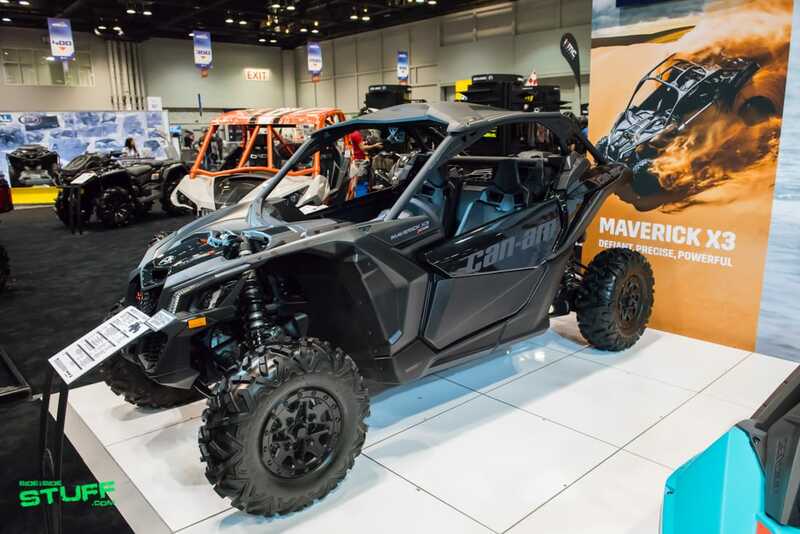 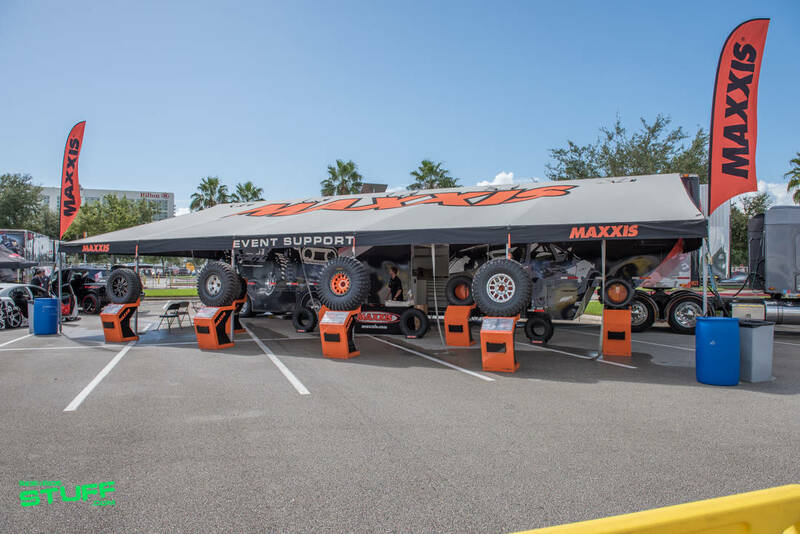 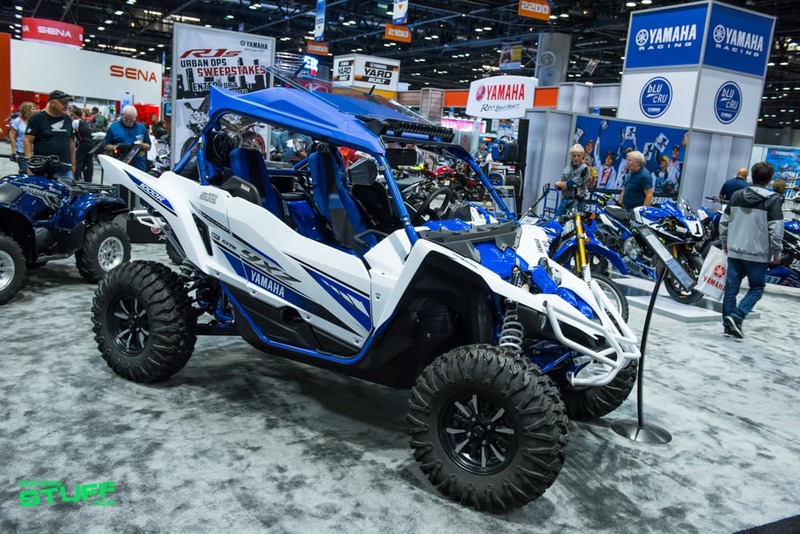 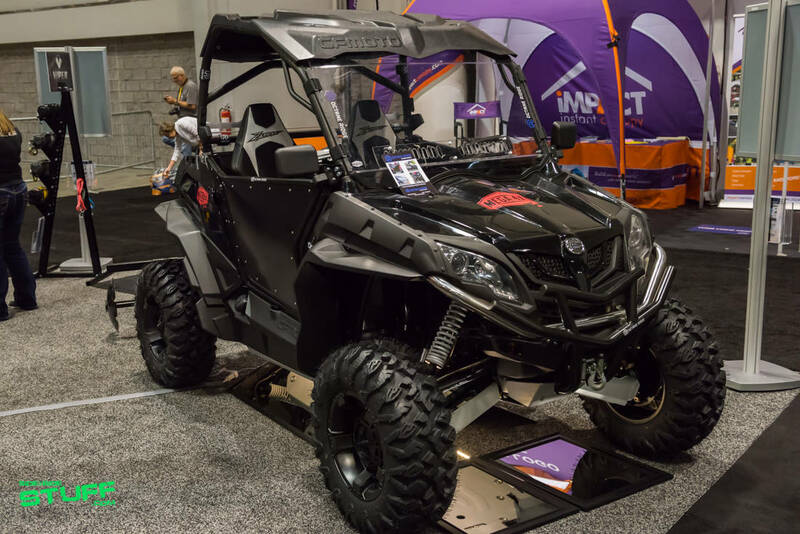 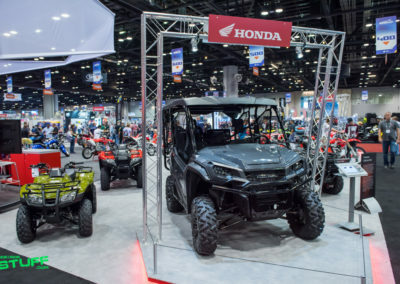 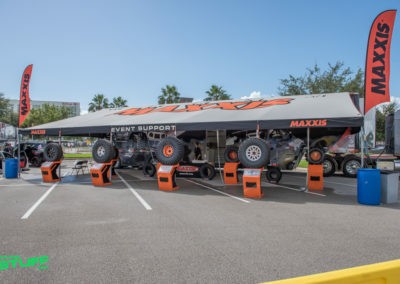 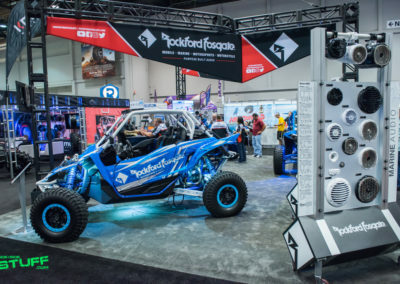 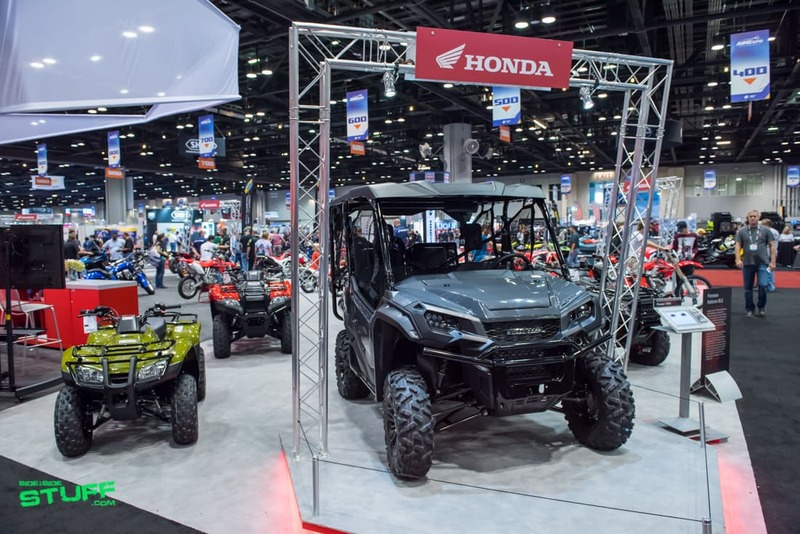 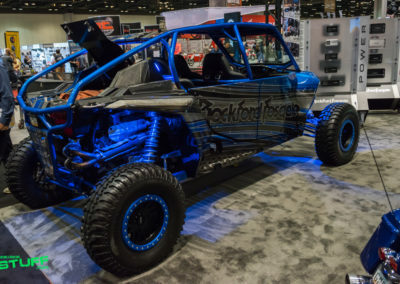 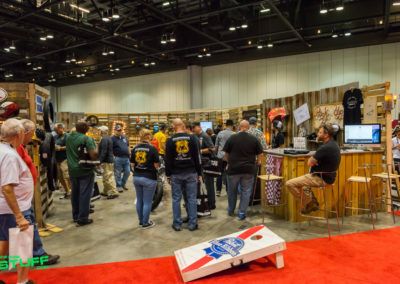 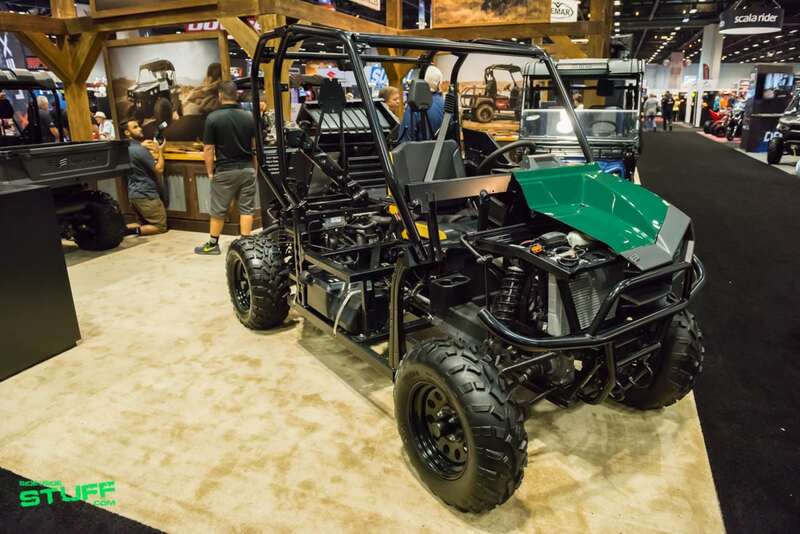 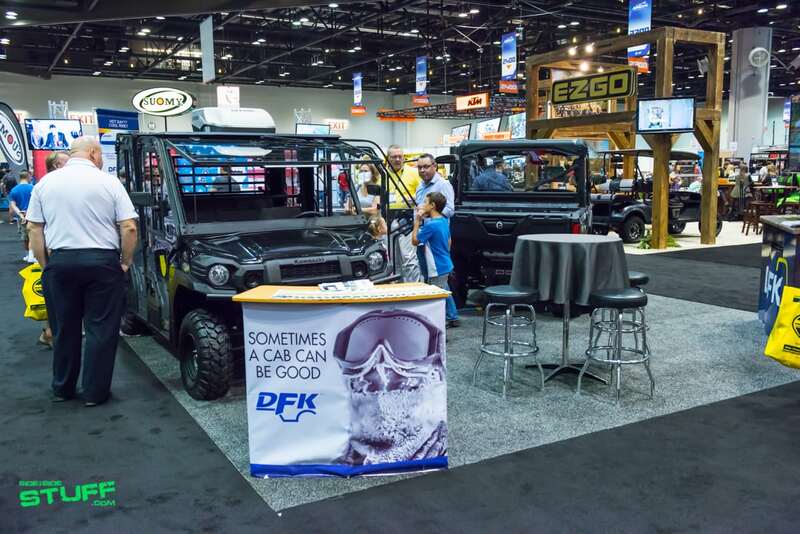 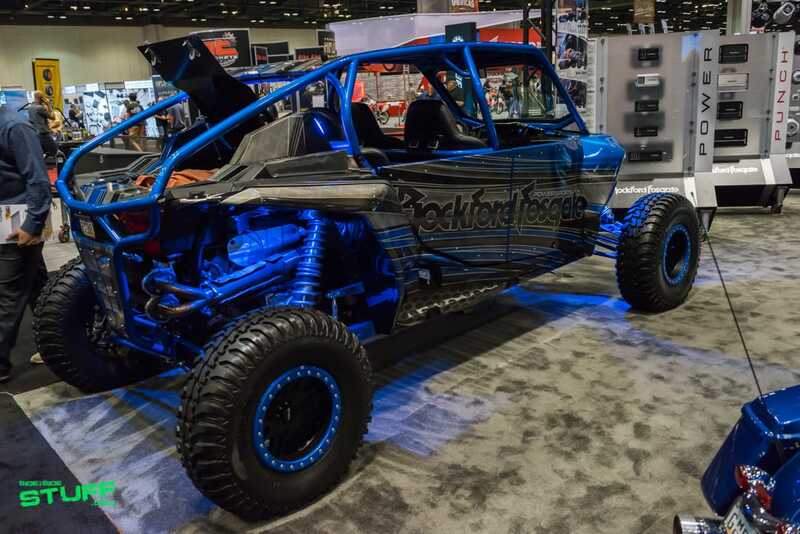 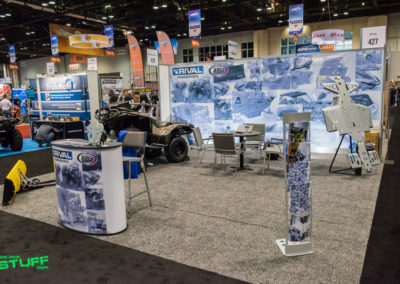 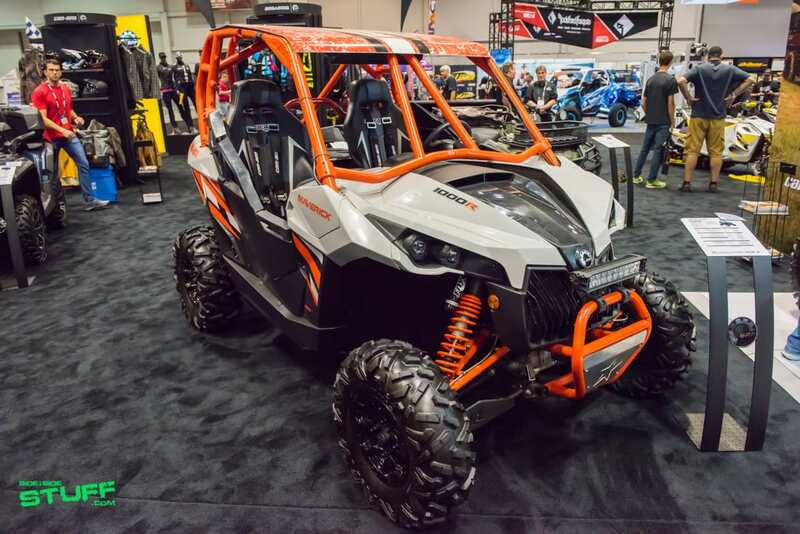 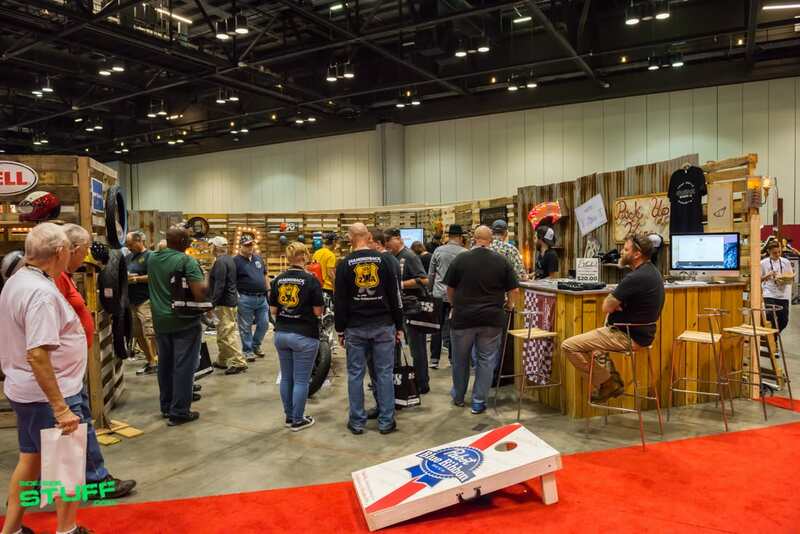 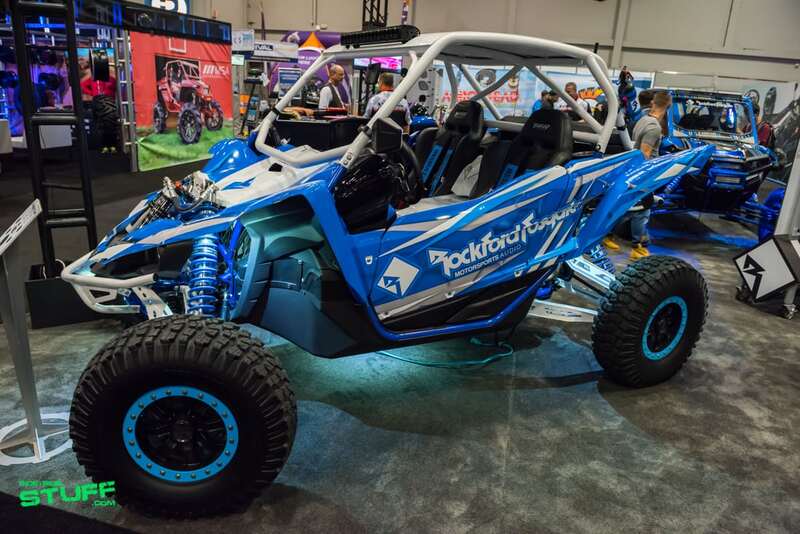 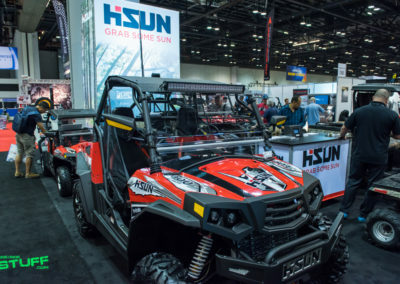 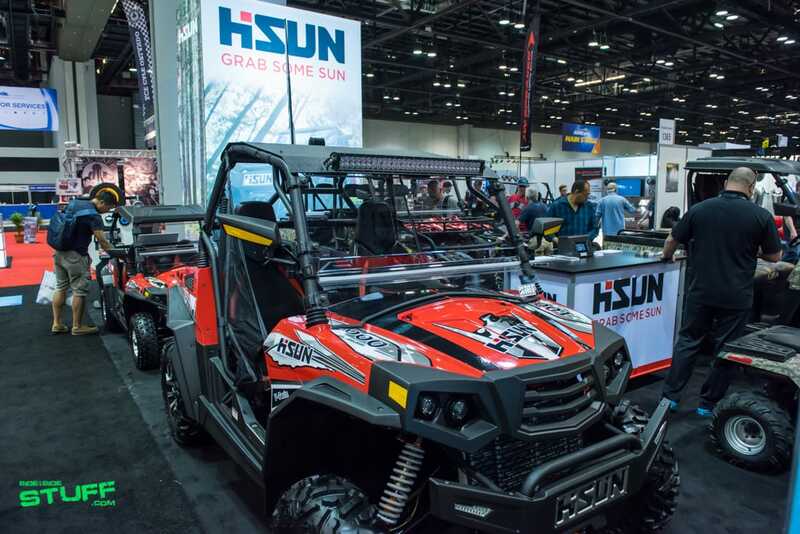 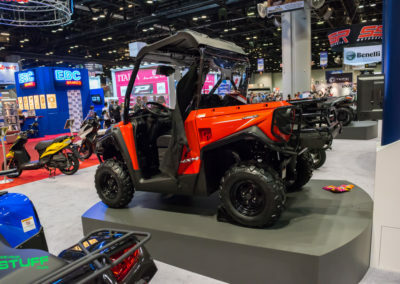 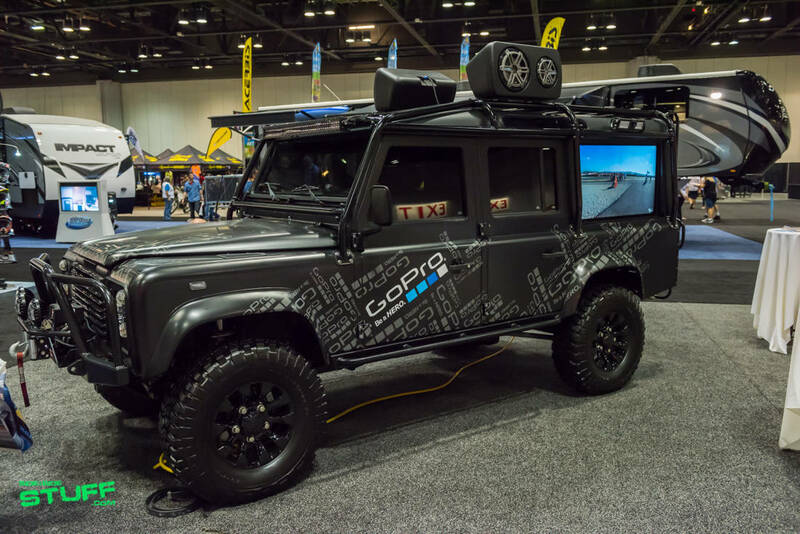 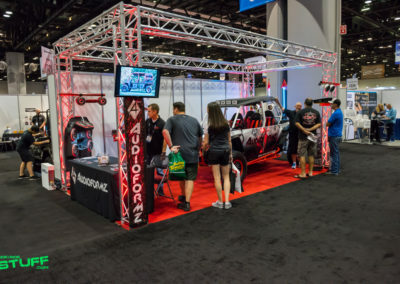 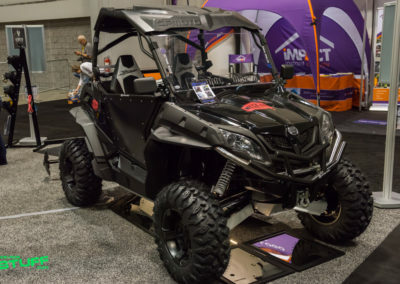 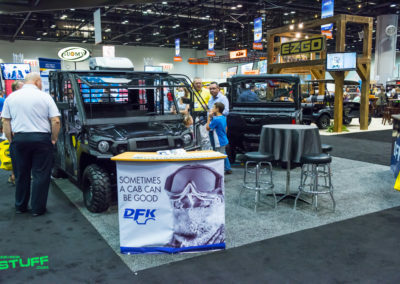 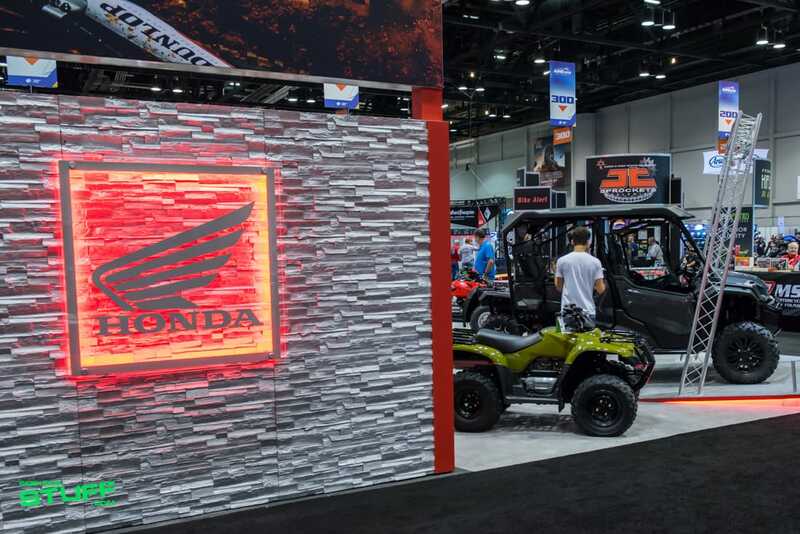 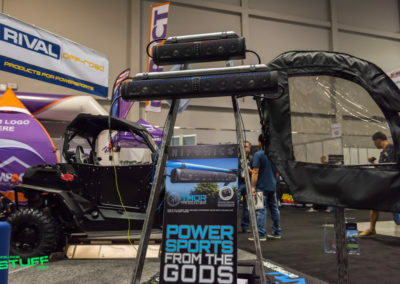 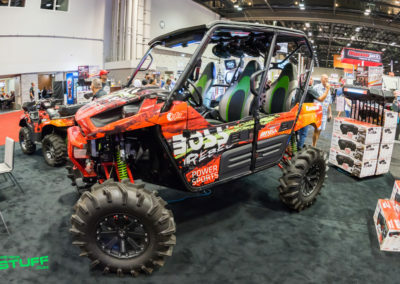 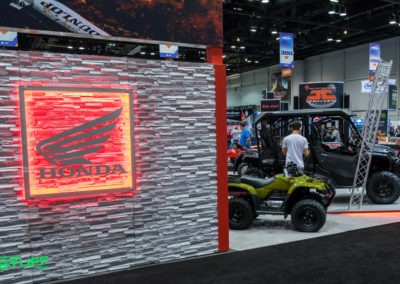 Hundreds of aftermarket products and accessories companies were set up inside Orlando’s Orange County Convention Center displaying the latest in powersports innovations. 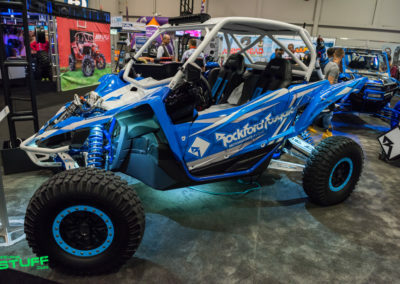 This ranged from side by side electronics including stereo equipment and LED lighting to machine performance modiﬁcations like exhaust and clutch kits. 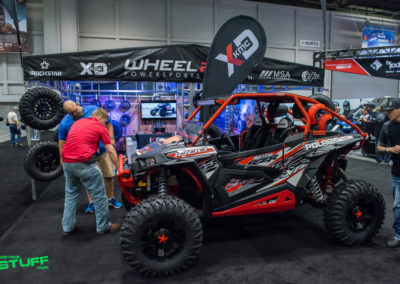 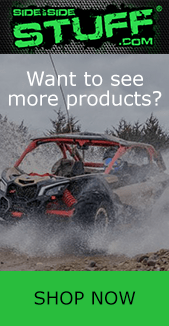 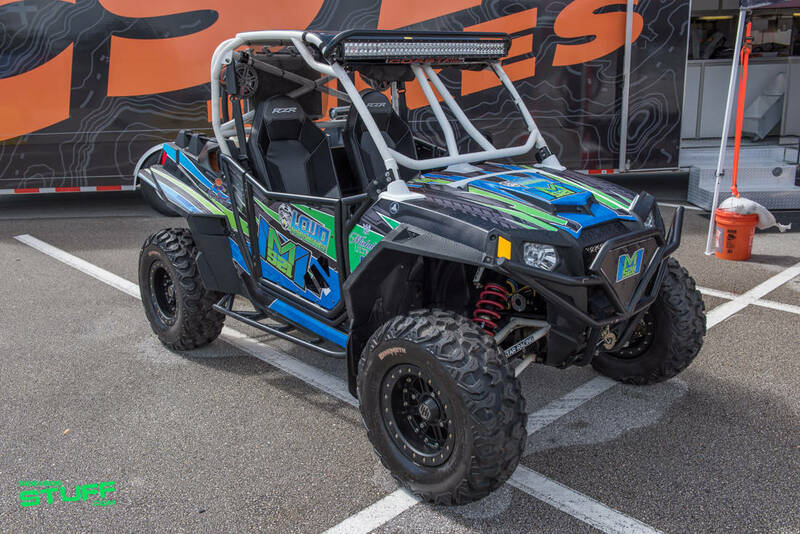 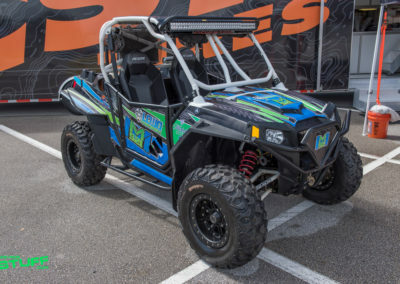 Safety products including helmets and riding gear were alongside manufacturers of wheels, tires, lift kits, portal lifts, bumpers, skid plates, axles and other cutting edge UTV accessories.